This fireplace installation was part of a complete refurbishment of a beautiful house in Kensington. Qualitas Construction were managing the whole refurbishment project and they contacted The Billington Partnership to help out with a fireplace. 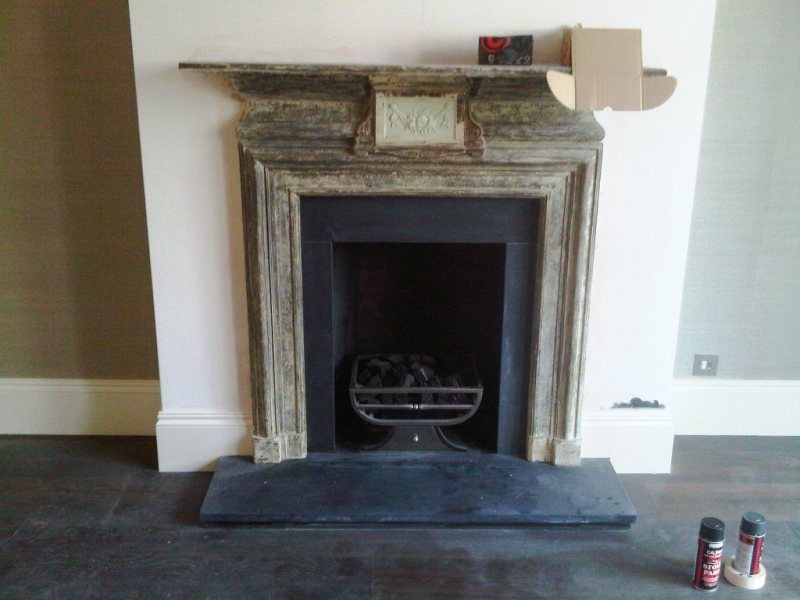 The fireplace had a cast iron surround to it which the client chose to keep. 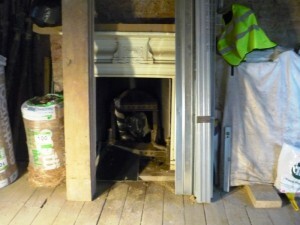 Our task was to refurbish the remainder of the fireplace. Part of our work involved dropping a new flue liner down the chimney because the existing flue system had a leak and it had failed a smoke test. As soon as this had been resolved, we installed some slate slips and a slate hearth, a fire board chamber and finally a remote controlled gas fire in the beautiful Ducks Nest fire basket from Chesney’s. The mantel in the images is awaiting the client’s chosen paint colour. 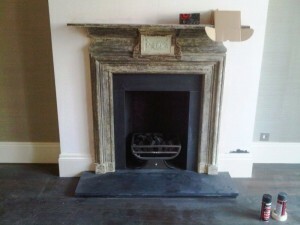 View another fireplace refurbishment carried out by The Billington Partnership.